My Facebook feed is full of people speaking optimistically about the new year, so I am driven to be perverse about it (it’s an election year, after all). I do love a sardonic, serial-killing buzzkill. But don’t worry, friends: there’s a Masked Avenger here, too. New Year’s is so overdetermined. We’re trained to believe that we’ll kiss that special person at midnight (just like in When Harry Met Sally! 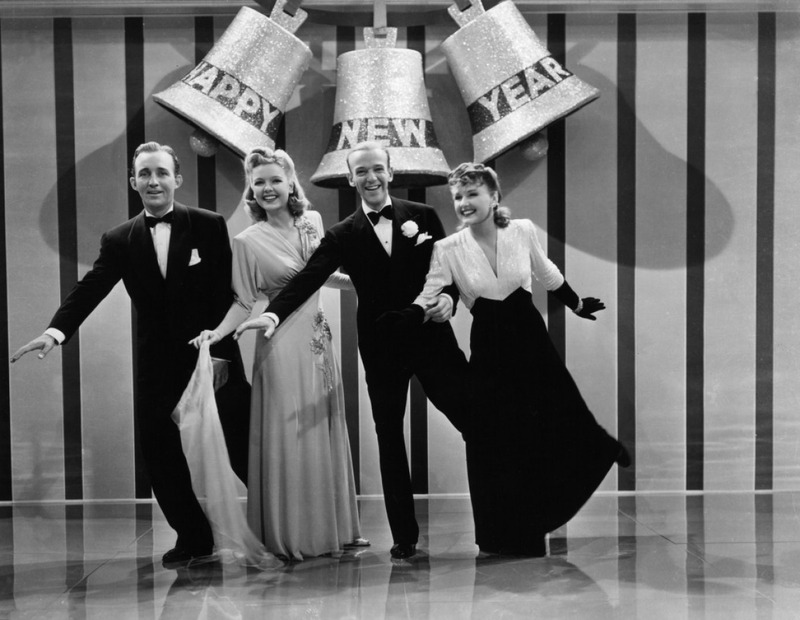 ); that singing Auld Lang Syne can only bring a sweet melancholy (what IS that song about, anyway? ); that we don’t look stupid when we dance; that we’ll look gorgeous in our sequined gowns and black ties; that we’ll remember that night forever. That it will be a turning point toward happily ever after. If Wilson’s Alice were here to scour us with her cruel eyes, we’d feel much more acutely the folly of that wishful thinking. 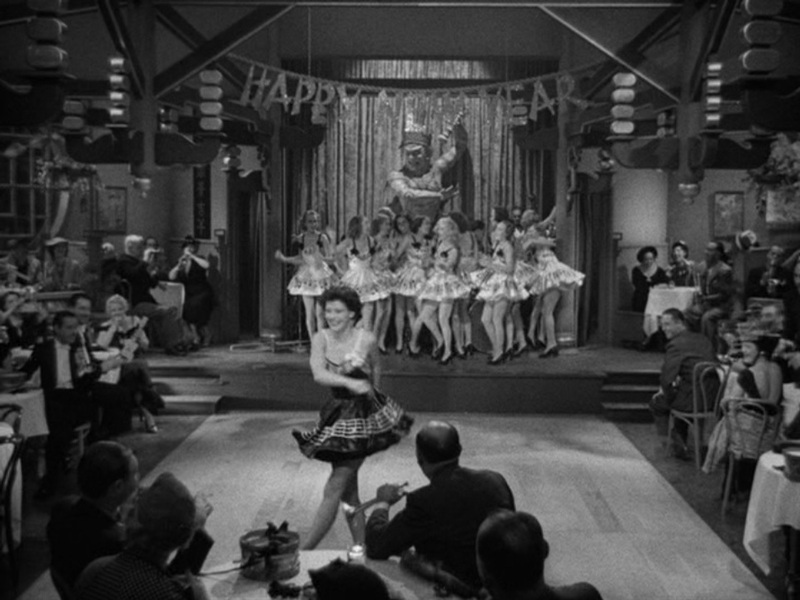 So instead I’m going to show you a few other images from Hollywood’s New Year’s Eve Past. For example, the party thrown by Norma Desmond (Gloria Swanson) in her grand Sunset Boulevard (1950) mansion, intended to be a romantic event just for William Holden and herself. At least she had a great time, at least for a while. A sweeter memory: Fran Kubelik (Shirley MacLaine) recovers from her suicide attempt and returns to C. C. Baxter’s (Jack Lemmon) miserable little place on New Year’s Eve in The Apartment (1960). 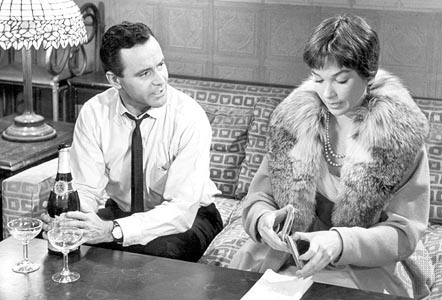 “I love you, Miss Kubelik. Did you hear what I said? I absolutely adore you,” he says earnestly. “Shut up and deal,” she replies. And finally, the sweetly anticlimactic conclusion of Radio Days (1987), when the Masked Avenger (Wallace Shawn), Sally White (Mia Farrow), and other radio stars file off the roof as the snow begins to fall. “Beware, evil doers, wherever you are!” the diminutive, funny-looking Avenger says to the world out there, as he shuffles downstairs. 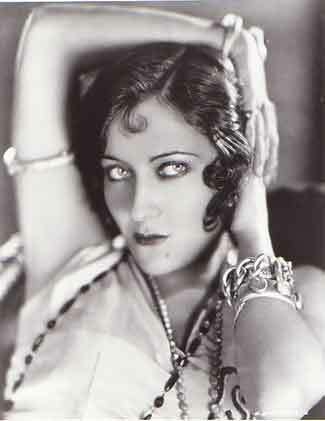 Gloria Swanson’s eyes were just so big, and her mouth so oddly small (it was the fashion in the 20s). 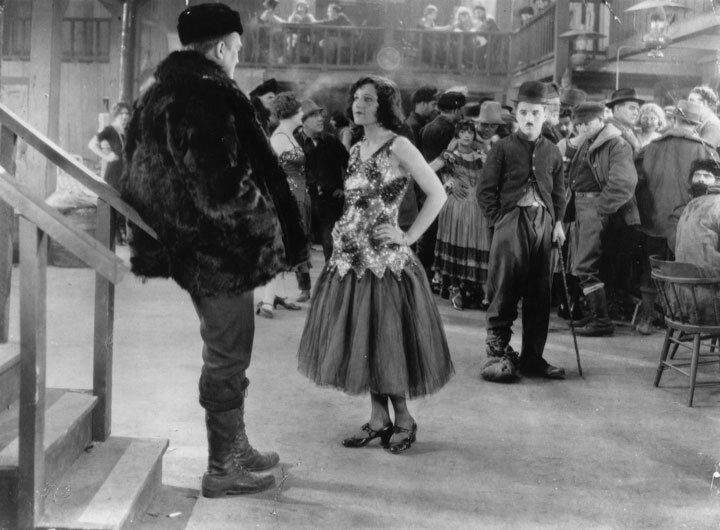 When she made Sadie Thompson in 1928 she’s been acting nonstop for 14 years and yet was still only 29 years old. America’s sweetheart, phooey — who wants to play an innocent over and over? Swanson got interesting parts like this one, as a former prostitute who runs off to an exotic island to start a new life. Based on a Somerset Maugham story — and there was no one better than Maugham at story twists — this film shows her at her sultry best. Since I’m a recent convert to silent film, it’s hard for me to watch Swanson without thinking of her turn as Norma Desmond in Sunset Boulevard (1950), one of the greatest films ever made. But you can’t help starting to think that Norma was right about the greatness of silent film, and that they really did have faces then.